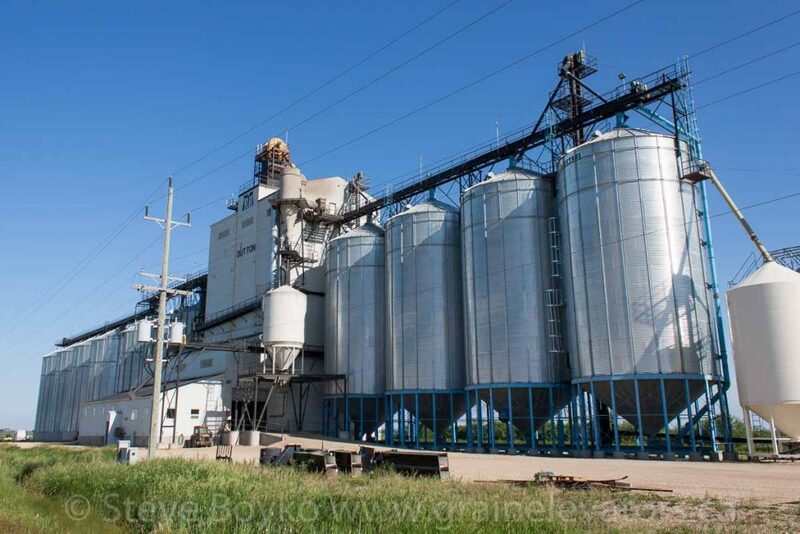 The Dutton grain elevator is a complex owned by Parrish and Heimbecker. 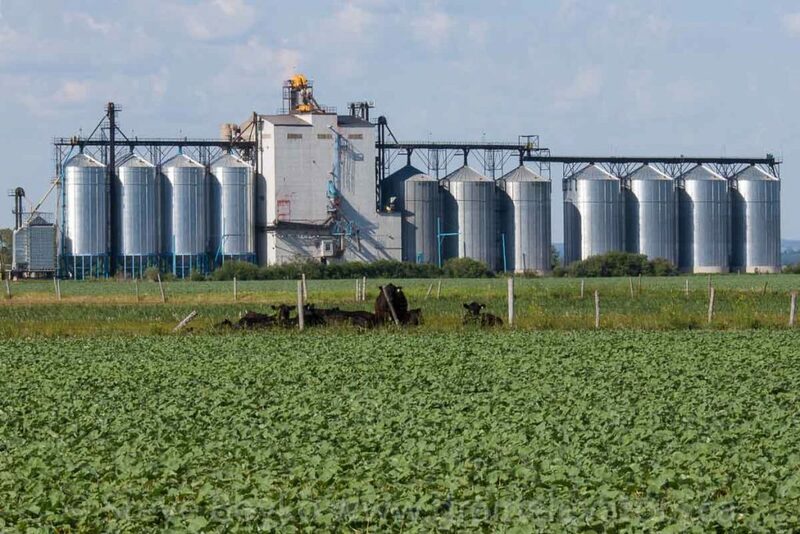 It currently has a capacity of 16,500 tonnes, between the central elevator and the numerous attached storage bins. 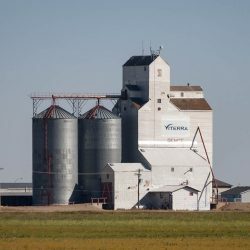 Parrish & Heimbecker purchased this elevator, originally built by Pioneer in 1985, from Agricore in 2002 and upgraded it in 2005 to add 5,600 tonnes of capacity. 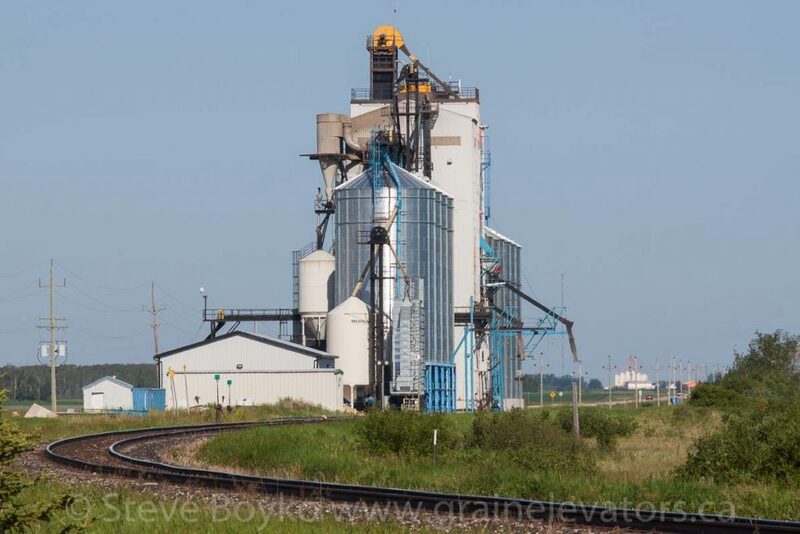 The elevator is served by CN on the CN Togo subdivision and can handle up to 56 grain cars at once. Normally CN trains 852/853 service the elevator and handle 50 car blocks. 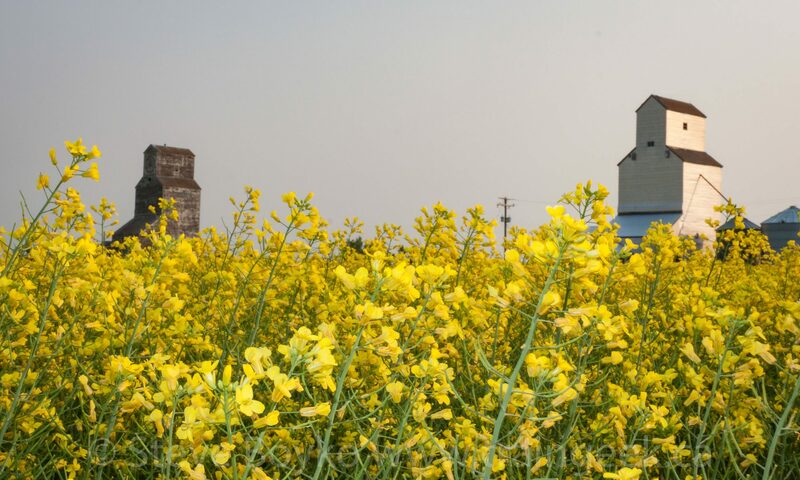 Dutton is located west of Gilbert Plains, Manitoba.